Grand mal seizures are neurological disorders characterized by convulsions, muscle rigidity, and loss of consciousness. Irregular electrical activities in the brain are believed to be the root cause of these seizures. Epilepsy is the main trigger of grand mal seizures although it can also be triggered by stroke or very low blood glucose. Grand mal seizures have a tonic phase, wherein the person losses consciousness and muscle contraction occurs, and a clonic phase, which is characterized by convulsions of alternately flexing and relaxing muscles. These seizures can last for about two to five minutes, and anything longer than that requires serious medical attention. Various medications are prescribed to treat seizures such as Carbamazepine, Phenytoin, and Valproic acid. However, not all sufferers of grand mal seizures respond positively to these drugs. Fortunately, researchers have found a way to control seizures without the administration of any drugs, and this is through ketogenic diet. Low-carbohydrate diets are believed to effectively treat seizures. 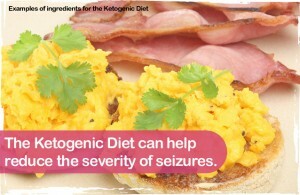 Ketogenic diet was first administered in the 1920s for seizure patients who were not responsive to anticonvulsant medications. 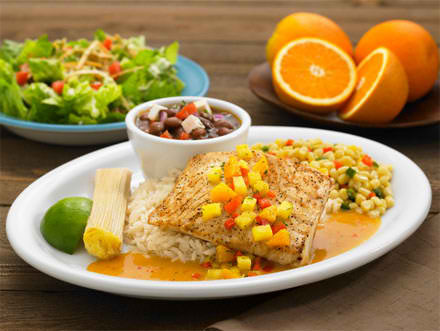 Normally, the body obtains energy from glucose by metabolizing carbohydrates. In the ketogenic diet also called as the “long-chain triglyceride diet,“, the intake of carbohydrates is restricted and it maintains that the patient should only consume a fat:carbohydrate+protein ratio range of 2:1 to 5:1. Hence, this diet drives the body to rely on lipids for energy. In order to produce glucose, the liver metabolizes fatty acids to synthesize ketones or ketone bodies. These ketones, in turn, act as the alternative energy source for the brain. Aside from limiting carbohydrates, fluid intake is also regulated since fluids can dilute ketones in the blood. And for the diet to be effective, the patients must adhere to it strictly; once the patient discontinues it, seizures are likely to reoccur within hours. and 10-33% of these patients no longer had seizures. In the adult patients who participated in the study, 27% reported a 90% reduction in his or her seizure frequency, 27% claimed that their seizure frequency was decreased by 50-89%, and 9% reported a less-than-50% decrease. Is This A Healthy Way For You To Eat? Patients who followed the ketogenic diet reported various side effects. Since it subjects the body to a new diet scheme, the initial side effects were vomiting and dehydration. Also, it limits a person’s food intake so the nutrients that his or her body receives may be inadequate. Vitamin and mineral deficiency might occur along with hypercholesterolemia and metabolic problems. Some patients also reported to have experienced hypoproteinemia, liver abnormalities, bleeding, constipation, and diarrhea. Growth retardation especially in children can probably occur because ketogenic diet and other anticonvulsant drugs are known to have negative effects on bone density. 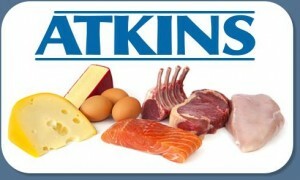 Atkins Diet: An Alternative to Ketogenic Diet? Because of its adverse effects on nutrition, experts have modified the ketogenic diet into a diet that is likewise low in carbohydrates and high in fats but is less strict about the consumption of proteins and fluids. This diet is known as the Atkins diet and aside from serving as a cure for grand mal seizures, it also popular because of its effective weight reduction properties.